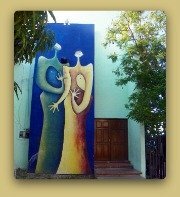 The Jardin Cabenos Ilustres, Garden of the Illustrious Cabeños, was built in the 2007 Mijares Square remodeling. 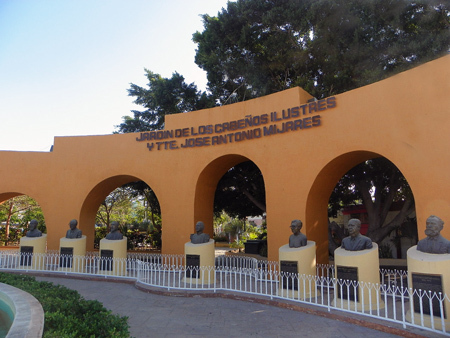 The place located next to the fountains has the busts of Lt. Jose Antonio Mijares in the center flanked by 5 illustrious men and 1 woman. Some of them helped protecting the community while others were pioneers in education, development and culture. The only personality in the Jardin Cabenos Ilustres that was not original from the area; Mijares was born in Santander Spain, young Mijares came to Mexico City, where he nationalized Mexican. He joined Mexico's Navy in 1842 and the following year participated in the Naval Battle of Campeche, reaching Lieutenant Grade. Lost the war with Texas, Mijares retired from military life and married Dolores Aviles on June 1847. However, the impending American Invasion prompted him to re-enter the service. He was sent to Baja California Sur, under the orders of military chief Captain Manuel Pineda, who just beat the Americans in Mulege and was moving south to meet the U.S. forces in La Paz. Pineda sent Jose Matias Moreno and Lt Mijares with about 100 men to San Jose del Cabo, where U.S. Navy Commodore William Shubrick had left Lt. Charles Heywood, four sailors and twenty marines, along with a 9-pound carronade. Reaching San Jose on November 19, the Mexican force offered terms of surrender to Lt. Heywood, who refused. The next day, the Mexicans launched their assault on town. The American forces were barricaded in the priest's house (nowadays Casa de la Cultura ) and the houses that surrounded it. Lt. Jose Antonio Mijares moved forward with the purpose of seizing the piece of artillery which constituted an obstacle to Mexicans' success. 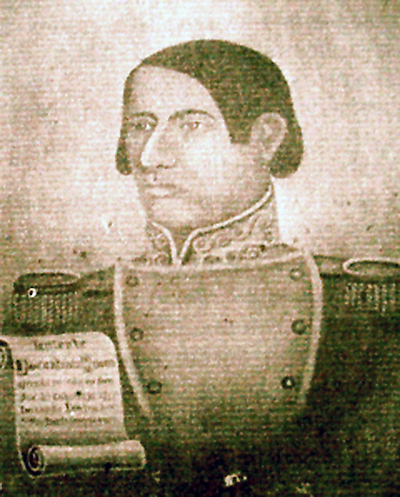 Despite his boldness and courage, Lieutenant Mijares was severely wounded and died the next day. Born in San Jose del Cabo, he was a congressman of The Baja California Sur Territory when the U.S. Army invaded the Peninsula during the Mexican-American War (1846-1848). 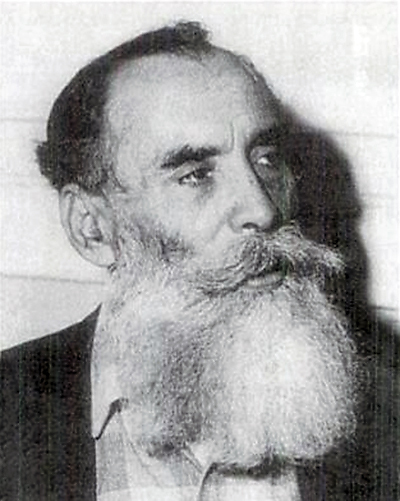 After the Governor of the territory surrendered to the U.S. troops, a group of nationalists gather in Santa Anita, near San Jose del Cabo and named Mauricio Castro the new political chief of the territory and decided to fight to Americans; Castro then organized a civil resistance and armed struggle that lasted till the end of the war. From his epistolary relationships, extracted from his own words this phrase characterized his nationalism "These people (Southern Californians) want to exterminate the enemy or bury themselves in their own ruins rather than been dominated by foreigners"
Ildefonso Green was the son of a Swedish immigrant and a native of Los Cabos area. He was a liberal and a nationalist. When young Green lived in San Jose California and was deeply influenced by Joaquin Murrieta known as El Zorro, a Mexican that defended Mexican families from the abuses and injustices received from the new American settlers. Later on as Green returned to Cabo San Lucas he became a local Zorro defending people from local and foreign abusers. 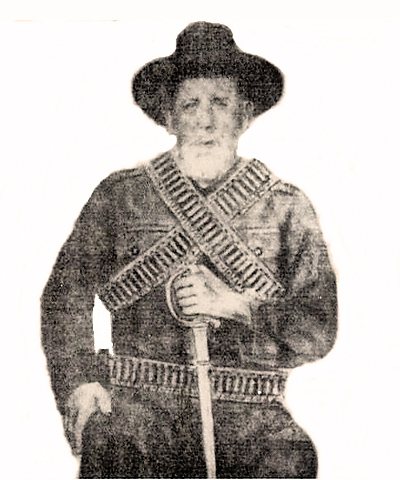 During the civil war called Guerra de Reforma he defended the 1857 Constitution organizing a group of liberal farmers, which took the name of Rifleros de San Lucas (San Lucas riflemen). In 1866 he helped expelling the territory's governor Pedro Navarrete, who committed various abusive acts against the people. 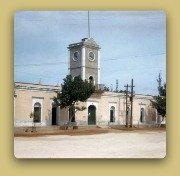 In 1875 he fought a duel with Ramon Valdes, a local crook that had robed and extorted the community, and killed him; putting an end to the uncertainty felt in the area. In the Revolution War at his 80's he arose again favoring the Constitutionalists and fought Francisco Villa's army out of the Peninsula. Celebrated Historian, teacher and journalist; he is most appreciated for his thorough, methodical and passionate research on the history of Baja California. 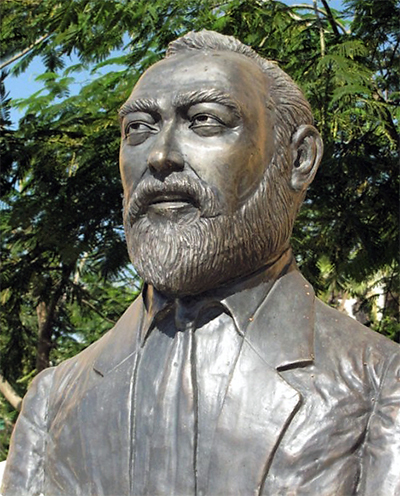 He authored The History of Baja California, the only book of its kind; The Families Guide of Baja California, in it Martinez searched the genealogical origin of every common surname of the state; and The Magonismo in Baja California, a book about the rebellious group in the peninsula that fought Porfirio Diaz in the beginning of the Mexican Revolution. These works are an invaluable legacy for understanding the historical heritage and roots of Baja California Sur. He founded the Southern Californian student's home in Mexico City, which help many students get a college degree when there were no universities in their home state. 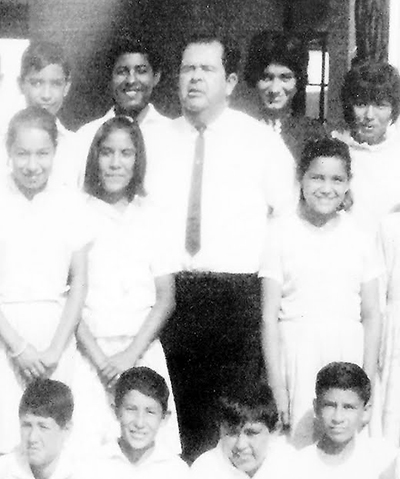 He was a School Inspector all along the Peninsula, which allowed him to widely get to know the Baja California Sur, its communities and villages. Later he became the Director of elementary boarding schools nationwide. His books, anecdotes and chronicles are valuable references for the real and profound essence of Baja California Sur, its customs and idiosyncrasies, as well as the interaction of individuals with the landscape. His pioneering work in the education field led him to become a senator of the republic of southern Baja California from 1974 to 1976. 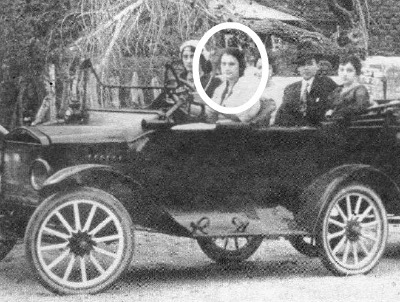 The only woman in the Jardin Cabenos Ilustres Amelia, aka La Melucha, was a school teacher from 1923. For 43 years she instructed the children of Cabo San Lucas and helped the community as a nurse practitioner and in the management of public works, such as the introduction of potable water network and electric light wiring. As recognition of her merits, the governor of the then Baja California Sur territory, Mr. Hugo Cervantes del Rio, proposed her as the responsible of the Cabo San Lucas Subdelegacion (Township) being till today the only woman who has held that office. 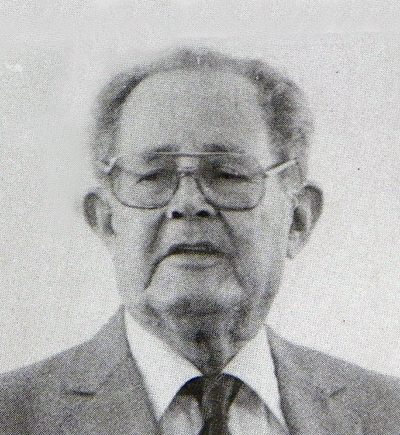 Pioneer of sports education and public service in Southern Baja California especially in Los Cabos; he was a major participant and promoter of regional Olympic Games in various sports. 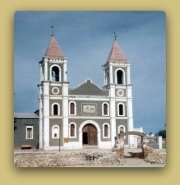 In 1968 he was elected as the Municipal delegate of San Jose del Cabo. During his time in office in he carried out major achievements in benefit of the community. 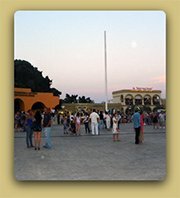 In 1974 he was honored as a member of the Constituent Assembly of Baja California Sur, a remarkable group who drafted the State's constitution as the Free and Sovereign State of Baja California Sur, promulgated on January 15, 1975. He was the city's Director of Physical Education and at the moment of his death he was the official town's chronicler.